The 2016 growing season experienced a very dry Spring through until early January. Just when growers were starting to panic, substantial rains fell in mid January and again in February and early March. The weather took on a very autumnal feel from late January on, with the consistently warm days and cool nights slowing things down and allowing fruit to be harvested at peak ripeness and condition, perfect for natural acid retention and flavour accumulation. 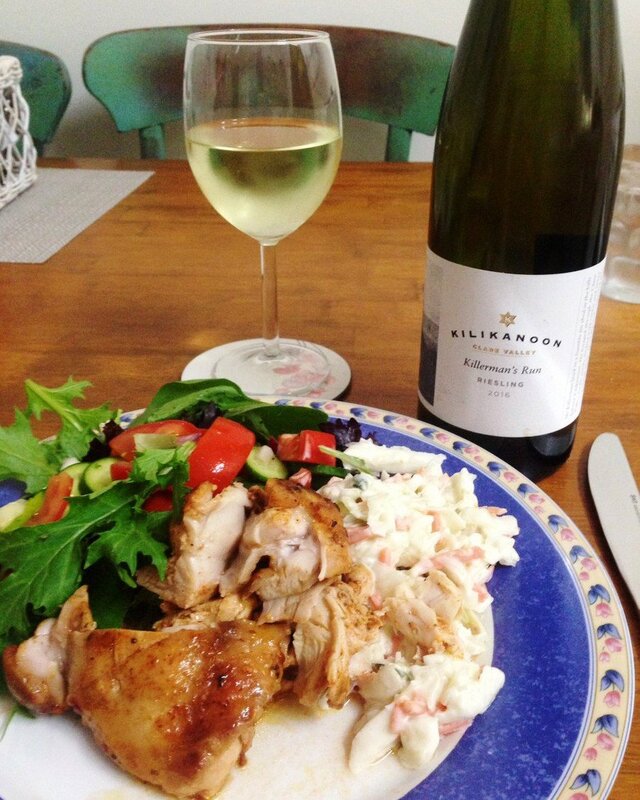 Carrying a small amount of natural grape sugar to provide some roundness and generosity, our Killerman’s Run Riesling has been crafted through careful fruit selection and traditional winemaking techniques. Colour: Pale straw in colour with subtle green tints with brilliant clarity and appearance. Aroma: The aromas of fresh limes, lemon zest and hints of green apples burst onto the nose. Palate: Instantly recogniseable as a classic Clare Riesling, the palate is brimming full of limes, green apples, lemon curd and natural linear acidity. The perfect balance of length, flavour and texture that will reward those with even more complexity if allowed to cellar further. Potential of at least 10 - 12 years.